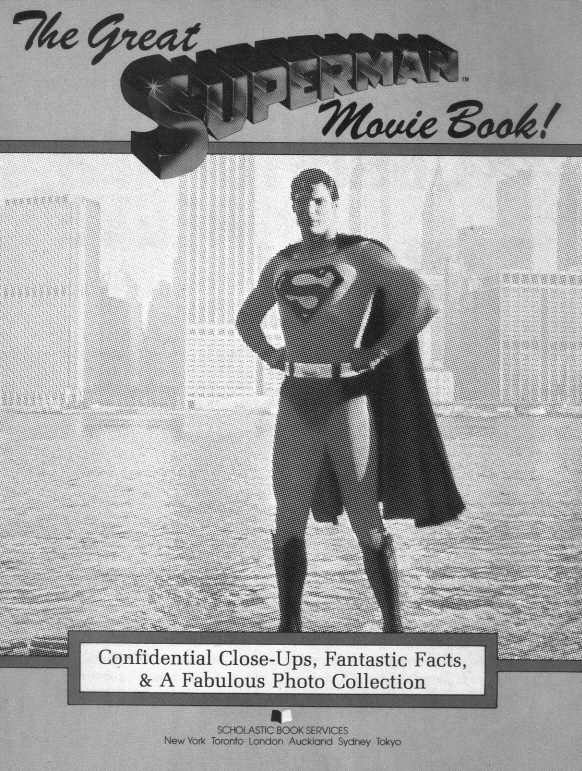 In great anticipation of Jim Bowers upcoming and definitive account of the Richard Donner Years, SUPERMANIA looks back at what is, amazingly and to date, the only dedicated reference book on the subject of the Superman Movies in the BFI library. 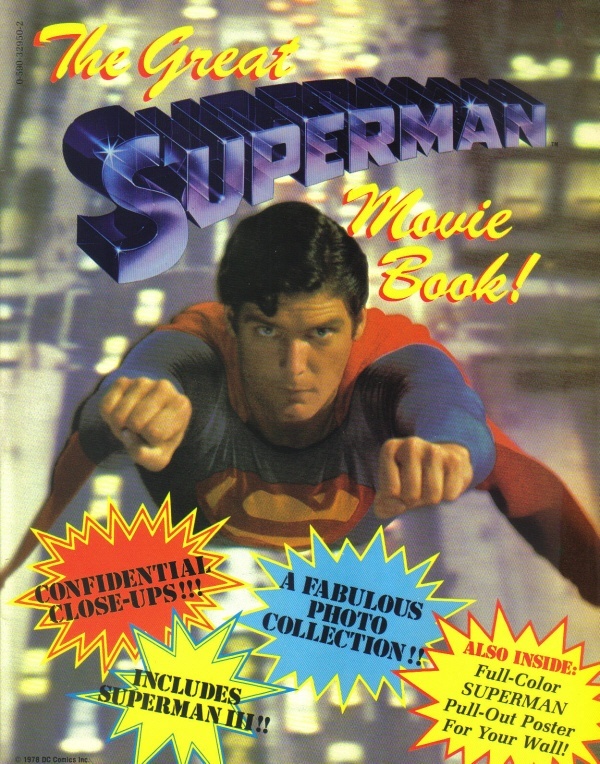 First published by Scholastic Book Services in 1981, The Great Superman Movie Book is unashamedly geared towards a younger audience and by that reckoning, is pretty spectacular for the time. 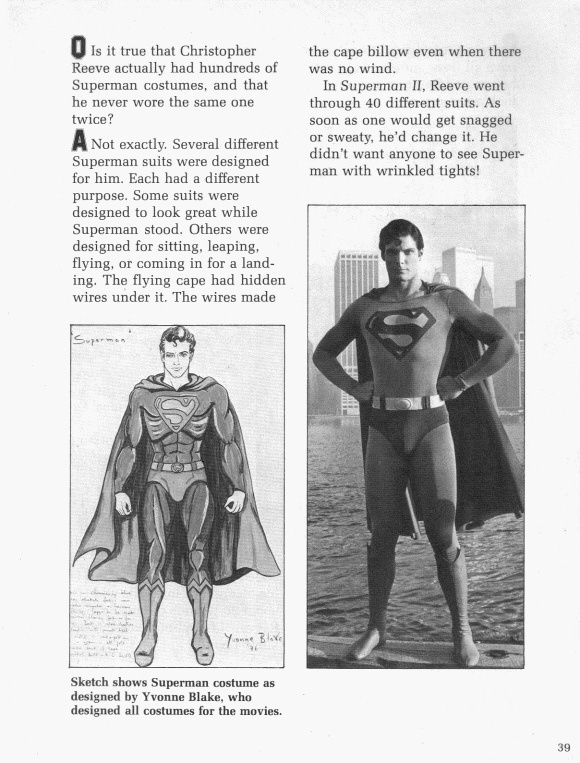 Presented as a softcover ‘factfile’ packed with pics & info (featuring a full-colour photo gallery from Superman II) the reader was also gifted a large poster of Superman in flight (utilizing the same image from the gatefold soundtrack LP) which I suspect was a permanent fixture on the walls of many a child in the ’80’s. Due to that very fact its no surprise that most surviving copies available today are devoid of it, making complete volumes easily the most coveted today. Happily though, there would be a revised and updated edition accompanying the release of Superman III in 1983 with a 15 page ‘Mini-magazine’ insert devoted to the new movie compiled by Chip Lovitt. 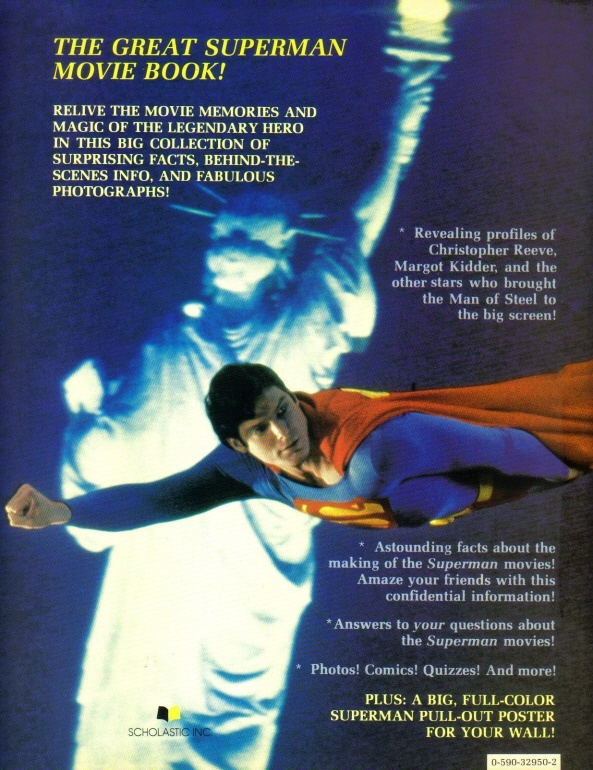 This reprinting would feature virtually the same cover (save for the ‘Includes Superman III’ blurb in place of ‘Fantastic Facts!’ and is more commonly found with the poster included being a later issue. As a member of the school book club at the time of this book’s publishing one wonders how something like this (which as an 8-year old would’ve been manna from heaven) managed to elude me completely until the age of the internet. This plus the fact no details/pricing can be found inside for European territories lead me to believe this may have been a US only release? Could anybody else from the UK testify to having this book back in the day I wonder..? I have both versions of this book, sadly neither have the poster inside. When I was a kid in the 80s, I borrowed it from my public school library and actually never gave it back… had to pay a fine for “losing” the book. It’s a great book.